I am a CPC - A, and i want to get into a specialty, and i am considering ASC. I want to take the exam next year. I am the type of person who likes to prepare. My question is that, is there anyone who has taken the exam and passed? Also, is there any tips on how to prepare and study for the exam? study guides for the CASCC? I was also considering taking the CASCC exam. Are there any study guides or other books that are helpful that you recommend? I did the practicum through AAPC however I have been working in an ASC for 5 years. thanks for the advice. i have one more question. are the op notes that will be on the test, do they come from all sorts of specialties? 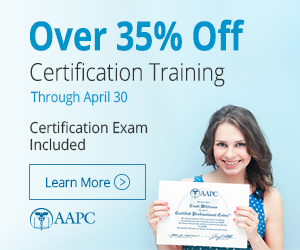 I'm registered for the CASCC exam, also, and have wondered that - your question about all specialties being covered. Something else I wondered about the exam - do we need to provide a NCCI book/copy for the exam also, along with the ICD-9 and CPT? LGENTRY, are you out there? Yes it is on all specialties. When I took my exam I was able to bring a reference of my choice ALONG with the Cpt and ICD-9 and HCPCS book . I chose to take the Procedures desk reference. If you read your testing information it should tell you that you can have an additional reference. GOOD LUCK!! one more question lgentry. is the name of the reference coders desk reference? i just want to make sure before i buy it. Last edited by ASC CODER; 08-30-2010 at 01:54 PM.